I'm almost done doing my household chores for the day. I checked on my Facebook and I saw the preview of The Real Housewives of Beverly Hills. I am so excited! I love all the shows on Bravo Network. My husband likes to watch some of their show like Top Chef. I really wanted to spend more time on the computer but my eyes are sore. I've been having this migraine for a couple of months and noticed I have this before my period starts. I told Doug I'd rather have on my menopause stage rather than having periods every month and the result is migraine. As a mom, I'm looking more ways to save money especially on groceries, clothing, shoes, cosmetics, restaurant deals and hotel discounts. I've been collecting valuable coupons for almost a year now and it saved me some money. I have my favorite websites for all of my printable coupons and codes but never heard about bidrack coupons. If you want to save money on groceries, clothing, shoes, restaurant deals this site is the place to check around. In this current economy, saving money is the best way to do so. Besides, collecting coupons makes the family gets closer to one another. We have a new neighbor that moved in last week. Their house needs a lot of TLC from window treatments and other decor. She doesn't like to go shopping because it's very hot. I told her to shop online if she needs roman blind for their window. These Roman Blinds are fashionable fabrics that comes from different patterns and colors. I know she will gonna have a hard time picking which Roman Blinds she's going to buy. Energy efficient especially at this time of the year wherein we use a lot of energy to keep our house cool. Whether it's winter or summer, I noticed that my lips are dry. I tried to put some lip gloss but I don't like the feeling of it. Felt like my lips are sticky. I tried lip moisturizer but it's not working on me either. Charles lips are dry and he is freaking out. I can't stand this kind of weather. It is very hot even in the garage. How much more if you will stay outside for a couple of minutes. It makes you feel that your skin is tighten up and it's sore. Oh well, I really don't have other tasks to do except on the one that pay's very little. I know 50 cents is not fair enough but it's better than nothing. We have a new neighbor and they are inviting us of their house warming party. I have no idea what to bring as our gifts. Though I noticed they have candles around the room. Since they have a kid it would be better if I will give them a candle holder so they can put their candles on it. Candle holders makes your candles look more attractive. It's the safest way to keep from your child from getting candles. If you are looking for the perfect gifts at very reasonable price you can check this site http://www.discountsuperstore.co.uk/ They have the widest selections of gifts from kitchen, jewelry, homes, hardware at a very low price. Charles birthday is just two months away. We are all excited especially Charles. He wants balloons, presents and decorations for his birthday. My husband's sisters are coming for his birthday. I know Charles will be entertained with his aunts but we're thinking to hire kids entertainers on his birthday party. I'm sure the kids will gonna love it. They want to see some tricks when someone is performing. Besides, kids are easy to make them laugh. I am really excited for my son's birthday. He will be three this September and it's gonna be a surprise to hire kids entertainers. It's definitely hot for the last few days. People doesn't want to be outside except when they have something to do so. I like to go shopping but I'm suffering from migraine for the last couple of days now. I want to buy a new Venetian Blinds to put on our bedroom. I already found what I'm looking for and it's available on my favorite color which is pink. If you are looking for Venetian Blinds or other window treatments you can visit this website http://www.blinds-supermarket.co.uk/ They have the widest selections of cheap Venetian Blinds to make your room more cozy and comfortable. In just two months away is Charles 3rd birthday. We are all excited especially Charles. I've been asking him what he wants for his birthday. He wants balloons, presents and decorations. My husband's sisters are coming for his birthday. He also wants spaghetti meatballs which I'm going to cook. His birthday is on September 21st, and it's Wednesday. Since they are all working we will celebrate his birthday on the 24th. He is very excited! Last night when we spoke on his aunt Connie, she said she has something for Charles. Then Charles said; What is it? It's a surprise! I know he will gonna love to open up all his presents. Oh well, better get off in here. I will watch E!News because we were gone yesterday. I painted my toe nails today and I really like it a lot. Charles wants me to put some nail polish on his toes. If Charles is only a girl why not! I can imagine if I have a daughter, I'll make sure her nails are clean and I will dress her up all the time. Oh well, my baby just woke up and he saw that I was uploading this picture and he wants to look on other pictures. I guess I will let my husband spend his time on the computer while I'm cooking for our dinner. Doug and I have been talking about Charles of going to Pre School. I don't think Charles and I are both ready to be far away from each other. Charles needs to be trained for his potty and until now he doesn't feel like doing it. We already bought his Lightning McQueen potty chair. The first time he tried to use his potty he was constipated. I guess his scared to use it again. I don't know when he will gonna use his potty again but I'm still hoping he will do it on his own. Just like when I was breastfeeding Charles. He just quit on his own. We've been a Netflix subscriber for a couple of years now. The other day my husband got an email saying they will gonna increase the monthly payment up to $6 dollars. Meaning we have to pay separately for streaming videos and DVD's by mail. As customer, we are not happy about it. I told my husband to cancel his account or we can keep the streaming videos. We only receive DVD once a week. It would be better to rent the DVD on Redbox. I read the news article and a lot of customers aren't happy with it and they will cancel their account. My husband is a Teacher and a Head Wrestling Coach. Even though he has never been jobless it still worries me. I remember when his teaching position was cut last year and he had to try to get another position. He applied to many jobs and had many interviews but things were just not working out. Thank god he did find a position, and a great one at Heritage High School to teach and coach. I already told him before to get his masters degree. WaldenU.edu offers in Education which I think would be perfect for my husband. I really wanted him to teach in College. Master of Public Health would be great for him. This course focuses on health planning and policies, environment, education, ethics and financial management. Being a college grad doesn’t mean you get a job right away. It’s a real competition when you look for jobs these days. The more trained and attractive you are to an employer the better. Aside from that getting education at Walden University is within your reach. It’s accessible from your computer and still you can do your household chores. If you are a mom you don’t have to be away from your kids. Thanks to our friends at http://www.waldenu.edu/ for supporting my blog. As mom I get frustrated when Charles don't want to eat his meals. Yesterday, I offered a lot of foods to him but he just want spaghetti meatballs. We are out on spaghetti meatballs in can so later when we go to the store I will get a couple of cans. This morning, when I ate my breakfast he ran away from me as soon as he saw my plate. Though I tricked him telling that my food was spaghetti instead of rice. Doug couldn't believed that he's son is a picky eater. If you are an Immigrant here in the US, the first thing you have in mind is what am I going to eat in here? It was the thoughts that I always have in my mind. I don't like eating American breakfast. I always want to eat rice 3 times a day and other foods that I used to eat when I was in the Philippines. Just want to share some of the Asian Stores that I always shop for my Filipino Foods. This store is owned and managed by a Filipino couple. They are both very nice. Also have kids but I've never seen them yet. The store is very clean and the products are organized. And there are 2 Asian Stores that are closer to us but I didn't keep the receipt so I can't put their addresses on my blog. 8002 N. Oak Trafficway St. This store is owned by a Filipino. I've been on this store a couple times every time I visit my husband's sisters. There's also one Asian Store in the heart of Kansas City. I just forgot the name of the store. Next time, when I go there I will keep the receipt so I can post it on my blog. We have a family friend named Charlie who loves Motocross. I really like all the outfits that he’s wearing every time he’s on his bike. One of my favorite outfits of his is the dirt bike gear, Ryan Dungey Rockstar Replica Jerysey, Pant Combo. It’s very comfortable and is made from great materials. If you are looking for Motocross gears, parts, accessories you can visit this website http://www.btosports.com/ Charlie loves their site and constantly talks about the great deals and cool merchandise he gets from bto sports. They have the widest selections of all your Motocross needs from head to toe. To stay up to date with the latest designs on Motocross gear you can also request a catalog. Ticketamerica.com has tickets for MLB major league baseball and NBA national basketball association tickets and all NHL national hockey league tickets. Good things happened when you least expected. Just want to say thank you so much for all the blessings that I received today. My husband knew what it is because he's been there helping me a lot to make things possible. Again, thanks to my wonderful husband and to my adorable son for not being so naughty tonight. Getting older it is easy to begin to put on a few extra pounds. In my search to fight the dreaded “Battle of the Bulge” I came across apedixin. Researching apedixin I found out many interesting things. It claimed to be the “World’s Strongest Fat Burner”, and it actually has clinical test to back up the claim. I would suggest you all give this product a try, buy apidexin and see for yourself what the tests show, a great fat burner, and help for your battle. There is not much worse then having your car break down on you when you are in the middle of nowhere, especially when at night. As my husband and I found out a couple of years ago when our Jeep broke down. Of course it was about 10 at night in the middle of the country. Thank god my husband had been a member of the roadside assistance club. The Roadside Assistance Club did everything it promised, they got help to us quick and with no hassle. It is great to have that extra security whenever we travel. As a busy mom, I always find time to relax and treat myself like painting my toe nails. Today, I did my own toe nails and I like the way it turned out. It looks pretty good! Though my son kept climbing on my back when I started cleaning up my nails. He wants me to put some nail polish on his fingers and toes. I just imagine having a daughter. For sure she will gonna love having her toe nails painted and will love to dress up all the time. I would love to have another baby in the next few years. But for now, I have other plans on my mind like getting a job or going back to school. My son is a toddler and he likes climbing up on our TV stand in the living room. Before he breaks the television, our TV stand or most importantly before he hurts himself we needed to find a way to protect him. We decided to buy ceiling tv mounts to put on our wall. It’s easy to install because we already have one in the bedroom. Ceiling TV Mounts are perfect for HD and Plasma Televisions of all sizes. I feel uncomfortable now that I gained a few extra pounds. I don’t like to exercise at all and I know I can lose my weight without sweating so much. All I need is fat burners that work really well. Fat burners are clinically proven and effective weight loss help without having starving myself to death. I need to start taking my fat burners while it’s not too late for me. I have a loving husband and adorable son that are worthy to live for. I had a good night slept last night but Charles wants me to got up early. Anyway, I'll be busy later in the afternoon. I need to clean up the house and do some sorting of Charles old clothes that he's not wearing anymore. He has tons of toys that I really want to keep to clear his room. Also, I'm planning to let him sleep on his room. He's almost 3 this September and he needs to sleep on his own. I knew it was my fault that I started Charles sleep on our room when he was little. Well, time to prepare my breakfast. Do you have legal issues that need to be settled and don't know where to seek help in your area? Florida Keys Legal is a trusted law firm with dedicated lawyers that can help on your legal problems. Services offers from Personal Injury to BP Oil Spill Claims. For more information about Florida Keys Legal, you can visit the website to see how they can help you out. Schedule a free consultation to get the legal rights you deserve. We just got from visiting with my husband's sisters. I really had a great time with them. Charles did a great job as a Ring Bearer and walked down the aisle by himself. We are all tired. My husband went back to bed after he walked this morning. Later today, we will go to bank and buy some groceries. I printed out some valuable coupons that I will use at the store. As a human being we always have issues of our body from head to toe. Want to get rid of those unwanted issues that's bothering you every minute of your life? If you haven't done any research yet you can visit this website miamicenterforplasticsurgery.com Gabriel E. Salloum offers the latest technique in cosmetic procedures without breaking your budget. With state of the art facility so you have nothing to worry about. Avail of 10% discount for first time patients. To learn more about Miami Center for Plastic Surgery, you can visit the website to see how they can help you with your problems. Planning a vacation here in the US or anywhere around the Globe? Holiday rentals is a perfect place to look for superb, high class places to stay at a great price. The rooms are very clean and more spacious compared to staying in hotels. It’s perfect for family getaways and having a home away from home. Holiday Rentals best of all will not eat up all your holiday budget allowing you to enjoy your vacation even more. Since I got my PR 2, I've been receiving offers from Advertisers. Just realized how hard it is to to start a certain topic. As you all know, I didn't grew up speaking English language. I know my grammar is incorrect but I'm trying to make good quality blogs so all of you will enjoy reading my blogs. For now, I have available opportunities with one of the paying sites for blogs but I don't think the payout rate is fair enough to write a good reviews. It's summer time. I know how much you enjoy driving your motorcycle. No matter how careful when you drive is, still accident happens all the time. People behind the wheels are texting and talking on the phone while driving. Have you been injured by a destructive driver? If the answer is yes, you can find Motorcycle Attorneys on this website http://www.911bikerlaw.com They offers free consultation of your accident claims. And get the money that you deserve during your accident. To learn more please visit their website to see how they can help you. If you own a business you understand how the global recession affects your every day sales figures. Some businesses are having an even rougher time and forced to close their doors. Do not let yourself be affected by all this economic meltdown. There are website that can help you save your business and even grow your income without over spending your money. Estate Agent Software has the newest technology to boost your property income at your own pace and time. It’s easy to use and navigate using your desktop, Internet Browser, Mobile and Smart Phone. Give Estate Agent Software a call 0844-6626-454 to see how they can help you. I am so excited for tomorrow's wedding. Charles did a great job as a ring bearer when he had our practice tonight. I'm hoping tomorrow he won't be shy when other people are around. Also, I got my toe nails painted and my dress is ready. Charles will not wear the outfit that we bought for him. His aunts bought him a new Ralph Lauren Polo which is Pink and a Levi's Black Jeans. He just looks so adorable when we tried those clothes on him together with his cowboy boots. I grew up in the Philippines where we always have beliefs like astrology palm reading. In fact, I had my palm reading before I got here in the United States. And I strongly believed in it. Most of the readings that the Psychic said to me came true. Yes I’m married now to a US citizen and I’m living very far away from my family. 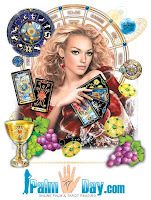 I also had my tarot reading and psychic reading which makes me excited. I remember the lady had a smile on her face every time she drew the cards. Nowadays, there are Psychics that you can find online. Have yours done too! Last year we had a record snow for Arkansas. We had over 22 inches of snow in Rogers, and even heavier in cities around us. It was very hard to drive, especially since there is no real snow removal trucks down here. I’m glad my husband still had his snow chains from living in Northwest Missouri. Snow chains help with traction in snow and ice. Being in an area with a lot of hills and little to no snow removal these snow tires were very important for us driving to work and on errands.